Over here in LunarLincoln land we’ve been working on a few things….client work, mentoring, getting Little Doors in the dang App Store (I’ll cover that more in another post). While all of this has been happening, we have a little internal project that’s been chugging along making some background profits. 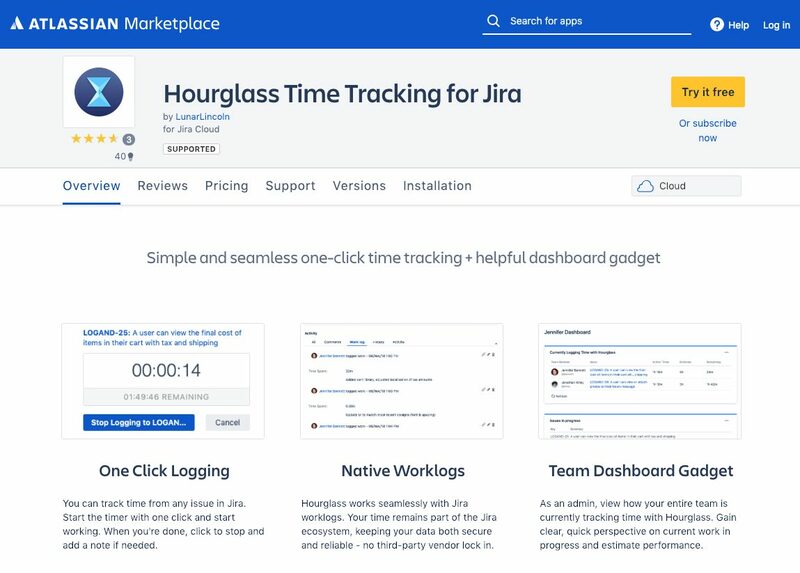 It’s a tool we built a year ago when an extremely popular time tracking plugin we used in Jira basically blew up for a few days. Those were busy and important days where we didn’t want to have to track time manually, so Wiley spent the weekend hacking together a little tool we could use ourselves in the meantime. Goodbye expensive plugin behemoth with a shaky support record – hello Hourglass – our own simple but scrappy time tracker. We used it for a few weeks, made some improvements, and thought, “Why not share this with others?” Maybe there are other people out there who also just want something simple and straightforward. Start your clock, stop your clock, that’s it. So, we put it in the Atlassian Marketplace, threw up a website and that was it….for a while. Then we started getting sales checks. Not massive amounts, but a little something nice from Atlassian each month. We decided to show our little time tracker some love, so we made a few updates: new Atlassian UI, a dashboard and some more analytics. To date, users of Hourglass have logged almost 3 million minutes of billable time. They’ve created 25,000 worklogs. They are based in 50 countries and a surprising number of different industries. Which brings us to the present day. 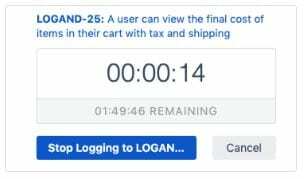 While we are still on our epic search for the best business idea ever, we thought we’d make a short pitstop in Atlassian plugin-land and build a few more nuggets of code that don’t require long term marketing. A few more monthly sales checks wouldn’t be too bad too. We’re pretty intimate with the ins and outs of Jira. We have some gripes that could use a plugin and there are probably some people out there with the very same complaints. Do you have any Jira complaints? “It’s so annoying when….” ‘s ? Send them on over! (jennifer@lunarlincoln.com or twitter @lunarlincoln). It’s not the next Facebook, but it’ll certainly make your day to day a bit more pleasant – one tiny tool at a time.